Home Blog We chatted to NotGames about NotGTAV and the Pre Alpha NotCOD! We chatted to NotGames about NotGTAV and the Pre Alpha NotCOD! “We wanted to make games that make us laugh really” A fairly unusual mission statement compared to that of most ‘Devs’ at EGX 2015. (With a precious few notable exceptions) NotGames are producing a satyrical take on some of the Games industries biggest titles. 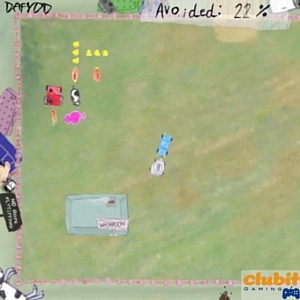 All the profits from the games developed by NotGames go to charity. They are the good guys! 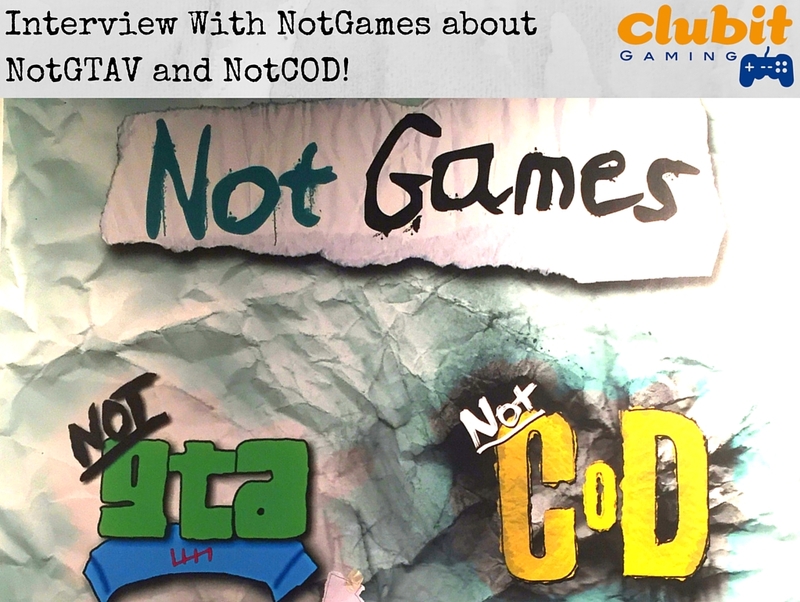 We spoke to Emma and Alex about NotGTAV (available on steam) and NotCOD. NotGTAV Gameplay footage. 60fps. Need we say more? NotGTAV is awesome both in it’s concept and it’s lovely hand crafted aesthetic. People appearing in an age demographic of owning a popular cellular communications device in the late ’90’s/early millennium may immediately see the concept of the gameplay. Or if you’re a bit more augmented in the molar region (long-in-the-tooth) you may even recognise elements of Blockade. The black and white arcade maze game released in October 1976! 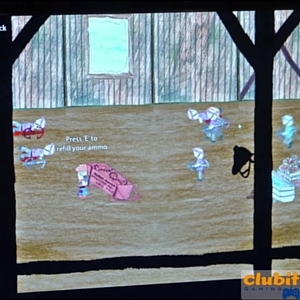 Alex tells us that all the imagery used in the game is genuinely hand drawn on paper, then digitised. The sound is all orally generated too which even includes the ‘acapella’ sound-track. NotGTAV is currently available on Steam for Windows, Mac & Linux with all proceeds going to the charity Peer Productions. First look at NotGames new title NotCOD! In pre-alpha stage. It was also good to have a little look at NotGames upcoming title NotCOD. Continuing with that great hand drawn aesthetic however, introducing dare I say a 2.5D platform environment? Classy. Again, all the sounds are vocally generated including the weapon noises! Emma expressed a few nerves about exhibiting NotCod in such an early form but, from what we saw (coming up to the close of day 1) the NotGames stand looked buzzing with enthusiasm for both titles. The team at NotGames are hoping to release NotCOD in late Q4 2015/Early Q1 2016 and hopefully porting the game to consoles (XBOX1 & PS4) too!